There aren’t a lot of accessories comparable to a beautiful flamenco flower. Flamenco flowers are famous for its big size and attractive. All of our flowers are made in Spain traditionally. Every model is available in a large spectrum of colors. The flamenco flower is one of the most famous accessories of Spanish culture. 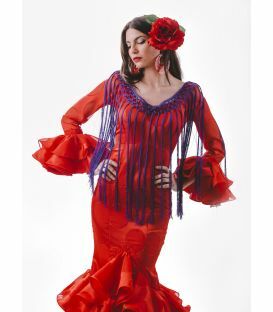 It is usually worn with our worldwide known flamenco dress or traje de flamenca as well as in flamenco performances. Flowers may give a touch of bright, natural and intense colour to women’s hear, especially to darker colour hears. TAMARA Flamenco expert assistants advise big flowers for women or medium flowers to give a contrast. On the other side, kids may wear a medium or a small flower depending on their age. Regarding the position of the flower, it may be worn over the head or on a side. If a comb is worn with a flower, it should be placed next to it, we advise you to choose different colours for the different combs and little combs in order to get a contrast with the dress. For example, if your flamenco flower is read, a white or black comb may be a good option to contrast colours. 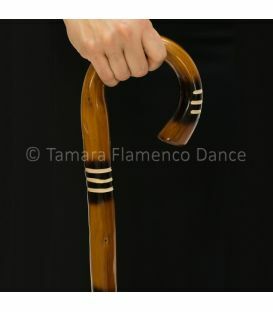 TAMARA Flamenco provides you with a select catalogue where you may find accessories of different styles and materials. 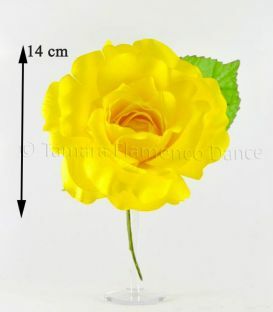 You can also buy online your flamenco flower in a confortable and easy way. If you have any questions or our expert assistants advice is required, please contact us by email at info@tamaraflamenco.com. We will be pleased to help you. 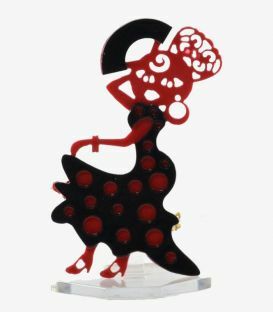 Flamenco earrings, also known as gitana or sevillana earrings, are one of the essential accessories for a flamenco dress or flamenco dancing in general. They look perfect as accessories for dresses at great events, giving your look a Spanish touch. They are usually big, elegant and flashy. TAMARA Flamenco expert assistants advise to wear medium or large sized earrings, which embellish the face. - Rings (or hoop earring): this kind of earrings evolves every year by changing its material and adding little decorative details, but it never looses its round shape. - Coral earrings (or “piñones”): this kind of earrings is the best choice for flamenco dresses or just to decorate your flamenco outfit. 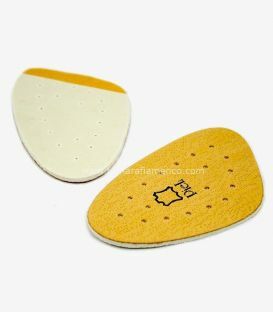 Nowadays, they are available on different materials, shapes and sizes. In order to choose the perfect earring for you, it is important to take into account the material our earring is made of. - Acetate will provide your earring with an intense and bright colour and a shining finish. It is highly recommended for bright flamenco dresses. - Nacre offers a duller tone but its elegancy is outstanding thanks to its mother-of-pearl’s reflexes. This material is the best possible choice for elegant dresses and gives class to the outfit at important events or dancing performances. Both nacre and acetate are luminous materials very unsusceptible to scratches and they are more resistant and flexible than plastic, which is used in earrings of a lower quality. This last one may be worn on a specific moment and is more economic. 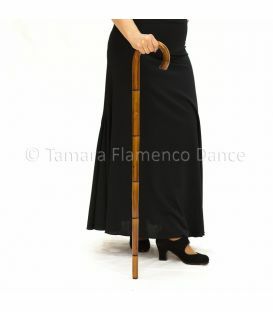 TAMARA Flamenco provides you with a select catalogue where you may find accessories of different styles and materials. You can also buy online your flamenco earrings in a confortable and easy way. Regardless of the model you choose, you can be sure that all products provided by TAMARA Flamenco are 100% made in Spain. If there is any question or our expert assistants advice is required, please contact us by email at info@tamaraflamenco.com. We will be pleased to help you. Combs and small combs, known as peinetas or peinecillos or just ornamental combs, are a Spanish essential accessory to wear with a flamenco dress or another traditional costume. Besides, it is the perfect ornament for your flamenco attire. 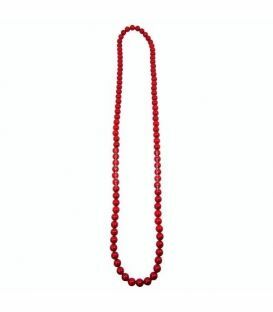 This accessory is used to add a splash of colour to your hair and, thanks to its large shape, it slims women’s neck. This hair ornament is usually worn with a flower under a flamenco or sevillana dress, or even for flamenco dancers’ dresses. The most valuable peinetas are those that are totally handcrafted. Our nacre and acetate peinetas’ fretworks are handmade and, the more difficult the design is and the more patterns it has, the more the peineta is valuated, because of the large number of hours required finish it. TAMARA Flamenco expert assistants highly recommend you to wear a big comb or two medium-size small combs (the same or different colour). If it is worn with a flower, it is appealing to use different colours to those ornaments in order to make a colour contrast that will make your attire to look perfect. Regarding the location, the comb may be worn in a side as well as in the top of the head; it depends on the hairstyle and your tastes. - Acetate comb: Acetate is a very flexible material that has a beautiful and shiny finish. It is a material extremely hard to break or deform. Therefore, these ornaments may last a long time in perfect conditions and, if they are well cared of, they may be passed to the next generation. - Dyed nacre comb: Its nacreous-like reflexion remind of the inside of a shell. It is with no doubt the material that applies the most elegance to an ornament, because of its different and shining colour scheme. This material is known for its durability so, if nacre combs are cared of properly, they can undoubtedly pass on the next generations in perfect condition. 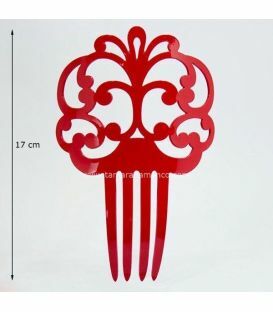 - Plastic comb: This comb is made of plastic, so its durability and resistance is lower. 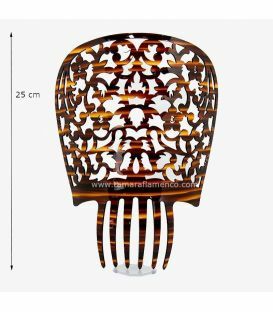 However, if you are looking for a cheaper flamenca comb for a specific time, this is with no doubt the best option because of its incredible quality-price ratio. You can also buy online your flamenco peinas and peinecillos in a confortable and easy way. 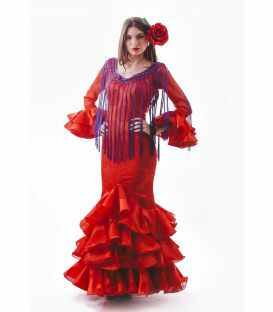 All our flamenco products are 100% made in Spain. This accessory is usually worn with strapped, short-sleeved medium-sleeved or flamenco dresses to give touch of elegance and colour to women’s wrists. 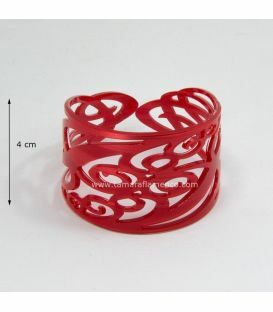 Flamenco bracelets were originally round but, nowadays, different shapes can be found. At the present, for example, one of the most typical one is the ball bracelet. They are made of numerous little balls of the same or different colour connected by an elastic band, which ease its adjustment to the wrist and make it easer to put on or off, specially for kids. This type of bracelet matches perfectly with polka dots or round patterns. Materials have varied over the years. In the past, it was used plastic because of its economic price but, nowadays, we bet heavily on more modern and hardwearing materials, such as acetate or dyed nacre. 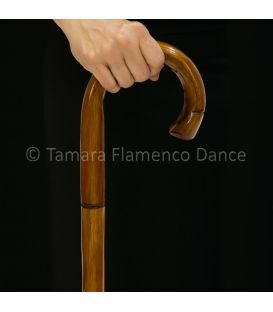 TAMARA Flamenco provides you with a select catalogue where you may find accessories of different styles and materials. 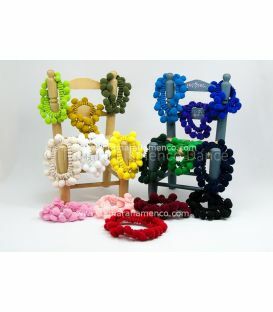 You can also buy online your flamenco bracelets in a confortable and easy way. Regardless of the model you choose, you can be sure that all products provided by TAMARA Flamenco are 100% made in Spain. If there is any question or our expert assistants advice is required, please contact us by email at info@tamaraflamenco.com. We will be pleased to help you. 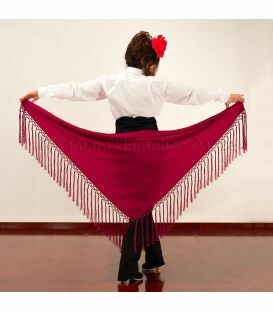 Flamenco shawls, also known as “mantoncillos” or “picos”, are the most traditional accessories for flamenco dresses. It is worn over the shoulders and it is hold by a brooch in the front. In the past, they were bigger and their fabrics were thicker and heavier. Our Andalusian ancestors used it to keep warm. Nowadays, they are smaller and made of a lighter fabric and are not used as cardigans, but just as an accessory and a memory of our culture. TAMARA Flamenco expert assistants advise to wear the shawl, the dress and the brooch of different colours to make the shawl stand out, especially when the dress is solid. For example, if your flamenco dress is fuchsia, a white shawl with a fuchsia brooch may be a good option to contrast colours. All of our shawls are handmade in Andalusia with materials of the best quality and may be used during the whole year because it never gets old-fashioned. Buy online in a confortable and easy way. Do you need other sizes or colours? If there is any question or our expert assistants advice is required, please contact us by email at info@tamaraflamenco.com or by telephone at (+34) 956347489. We will be pleased to help you. 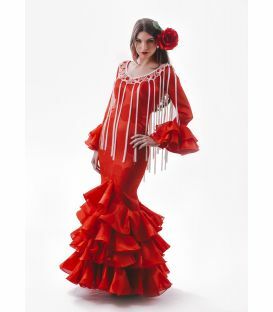 Fringes are one of the latest accessories in flamenco fashion. The most valued models are those handmade with the best quality and colourful threads (silk threads) by our Andalusian women. This accessory makes you look more graceful while walking or just dancing thanks to its movement. Nowadays, celebrity flamenco dancers wear this accessory to make an important effect on the stage thanks to fringes’ sparkling and soft silk threads. 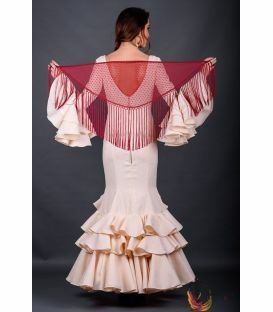 - Neck fringes: it measures approximately 1.25 m. It is designed to decorate dresses’ necks and give movement to the flamenco dress or just the flamenco outfit while walking or dancing. It is conceived to decorate the dress and grant an elegant distinction to the outfit. 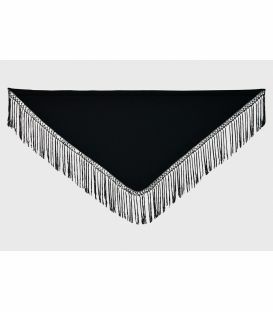 - Dance fringes: it measures approximately 2 m. It is worn with a dance outfit. Even though there are different ways to wear it, the most usual one is behind the neck, crossing the strips over the chest and tie it in the back with elastic, a brooch or a pin. This soft, smooth accessory and its intensive and sparkling colours make a beautiful effect on dancers choreographies. Castanets, known as palillos or castañuelas in Spanish, are the most traditional Spanish percussion instrument. Castanets have traditionally been handmade and have evolved since they were originally created in wood. Thanks to Manuel Vela, discoverer of the fiber of the castanets, we can have an instrument with a better sound that doesn’t get affected by cold or heat. 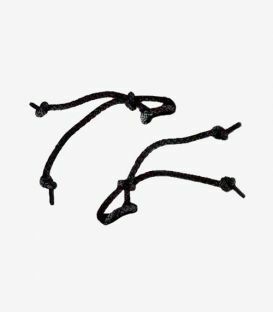 Besides, they last longer and have a better resistance to fallings and strucks than wooden castanets, which tended to break or crack easily and whose sound depended on the temperature. Manuel Vela also invented the soundbox. Thanks to his finding, castanets’ sound is stronger and more precise. Nowadays, there are different types of fiber and castanets with numerous soundboxes and the most valued fiber is called “fiberglass”. Besides, the more boxes the castanets have, the better sound and resonance. As a modest colour is preferred for the stage, the most usual colours are black and brown. • Pressed Fabric Material: This castanet material is composed of a number of sheets or cloths of cotton fabric impregnated with phenolic resins, then subjected to a pressing of 200,000 Kg. Of pressure and a temperature of 190 degrees during a period of eight hours time This material is characterized by having a very low-pitched or low-pitched sound, short-range power, specially designed for recording studios and spaces reduced by emitting short waves of vibration. • Veined Fiber Material: This castanet material is composed of sheets or cloths of paper subjected to an impregnation of phenolic resins, interspersed with colored sheets, to form the veining, subjecting them later to the same manufacturing process as the Pressed Fabric. 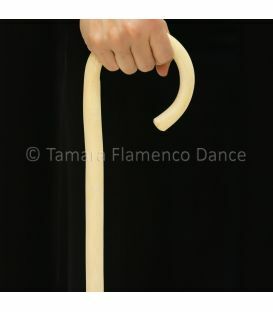 For their sound they are the most used by the interpreters of Spanish classical dance and flamenco, and are especially recommended for use in theaters and tablaos. Its sound is stamped and clean, very effective in terms of nuances, allowing infinite possibilities of combination. They are the most recommended. • Material Glass: This material of castanets is of high precision and of a great hardness. It is composed of thin sheets of paper impregnated with a very special resin called phenolic alpha and manufactured like the previous ones. It has a great sound power and is especially used by soloists and groups of outdoor stage. • Material Granadillo Veteado: This castanet material is composed of sheets of harmonic woods with a thickness of 0.5 mm. Each sheet and subjected to a dip or resin bath for a while and then manufactured as above. It has the charm of natural Granadillo, but with the consistency of fiber. Firstly, check that both castanets have a different sound (one is high and the other one grave). The high tone castanet must be on the right hand and the lower one in the left hand (if you can’t tell the difference between the sounds, take into account that the right castanet has a mark in its top side). Loop the castanets’ cord over the thumb of each hand. Castanets must be adjusted to the thumbs but do not squeeze them, because it may affect the sound. It is important to put the fingers properly: put the fingertips toward each other and the palms turned toward the body. To play the right hand castanet, use your little and ring finger and your middle finger and forefinger. Use your middle finger, ring finger and little finger at the same time to play the left hand castanet. - CA-RRE-TI-LLA: this element is used by the right hand. Try not to move your wrist and start playing CA-RRE-TI-LLA, composed by four sounds: CA (little finger); RRE (ring finger); TI (middle finger); LLA (forefinger). - TAN: it is referred to the sound made by the left hand after the CA-RRE-TI-LLA combination. Use your ring finger and middle finger at the same time, and make this one sound louder. - TIN: it is usually made after CA-RRE-TI-LLA-TAN. On your right hand, use your forefinger and middle finger at the same time. - TIAN: when TIN and TAN sound at the same time. - POSTICEO: it consists of the clicking together of the two castanets. Lift your right hand to the left hand and click the castanets together. 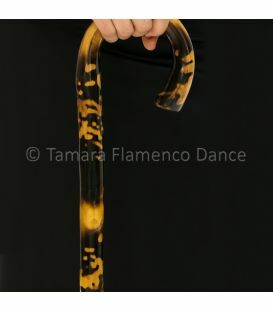 TAMARA Flamenco provides you with a select catalogue where you may buy online your castanets and choose its materials and sizes. The big experience of our craftsmen lets us to assure a very high quality, durability and resistance. The standard measures are between 92 and 96 cm of high but you must take into account that it is a handmade product so, measures can slightly vary. 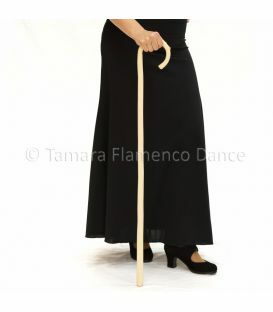 TAMARA Flamenco provides you a select catalogue where you may find accessories of flamenco dance. 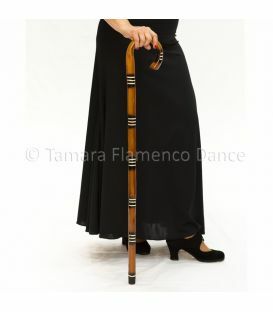 You can also buy online your dance cane in a comfortable and easy way. If there is any question or our expert assistants’ advice is required, please contact us by email at info@tamaraflamenco.com or by phone (956347489). We will be pleased to help you. Souvenirs 100% of Spanish design and manufacture with high quality materials. Available colors: RED - BLACK - WHITE - BLUE INDIGO - YELLOW - GREEN ANDALUSIA - GREEN PISTACHIO - TURQUESA- PURPLE Specify in comment box color (or colors) you want.